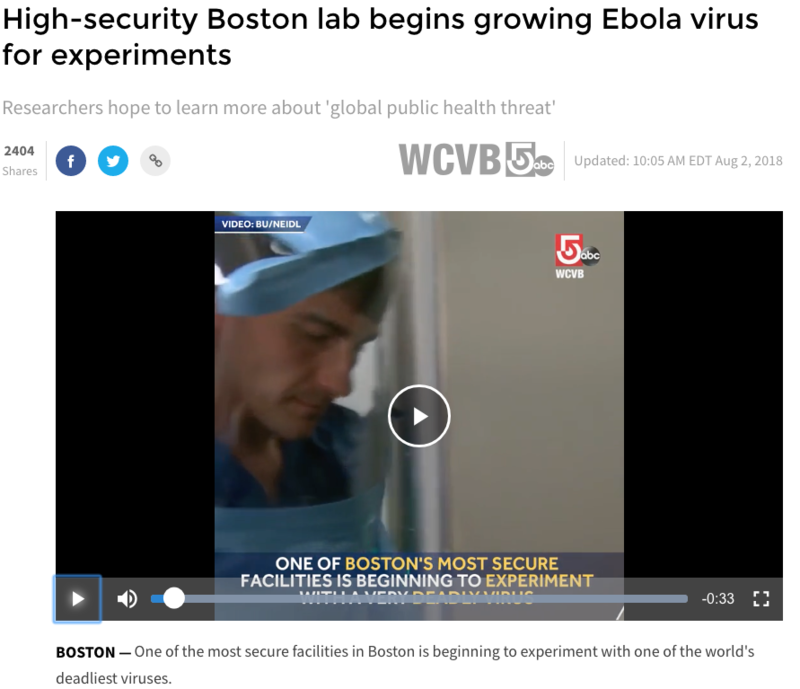 WCVB carried this interesting story today entitled, “High-security Boston lab begins growing Ebola virus for experiments“. It’s similar to the BSL-4 high security lab I describe in The Allston Variant. However, in the novel I go into far greater detail about the BSL-4 safety features in the fictional Allston lab.